Dr. Hajduczok practices in the area of medical device and pharmaceutical products liability litigation. He holds a Ph.D. in Physiology and prior to joining the firm, he was on the faculty in the Department of Physiology and Biophysics at the University at Buffalo School of Medicine. Dr. Hajduczok has received research grant funding from the National Institutes of Health and American Heart Association, among others, and has over 100 publications in peer-reviewed journals, book chapters and abstracts. 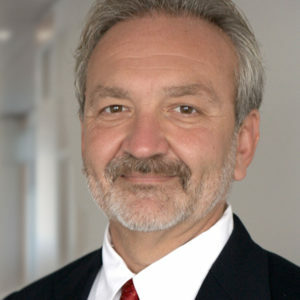 He has been a member of the National Institutes of Health Grant Review Committees and served on the American Physiological Society Finance Committee. Dr. Hajduczok holds a Research Assistant Professor position in the Department of Physiology and Biophysics at the University at Buffalo School of Medicine. He is a Fellow of the American Heart Association.